2011 has been a great year for long-distance cycling: We’ve had the first Australian winner of the Tour de France, joined by two (Schleck) brothers on the podium (another first); the Manx Missile Mark Cavendish winning the green jersey as well as becoming UCI Road World Champion 2011; and finally the publication of this great book. Best-selling author Chris Sidwells explains how to choose the right sportive, prepare for it both mentally and physically, and get yourself and your bike to the finish line. 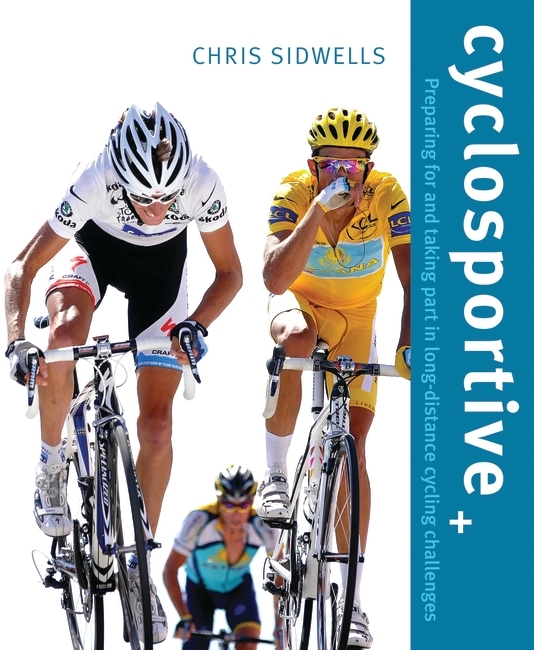 Linking sports science to practical training, Cyclosportive will help you improve both your strength and speed. Whether you’re embarking on your first sportive or trying to improve on your performance in the next one, this essential guide will help you reach your goal. This entry was posted in Books, Cycling and tagged Cycling, Fitness, Sports Publishing. Bookmark the permalink.